Trivets can be made with 1 or 2 types of wood: one for the base and another for the slats. If you are ordering a trivet with more than 1 type of wood, do make sure to specify which wood should be used for what part of the trivet from the drop-down menus. ​ There is no extra charge for more than one type of wood. Update for 2019: Trivet prices are now the same online as at shows. Want to make your pieces even more unique? Custom woodburning is the perfect way to put a special message on a wedding or anniversary gift! Give us a call before placing your order to describe what you would like for woodburning, and we will give you an estimate on pricing. Our original Heart Trivet, the perfect gift for your sweetheart who loves cooking or baking! This functional piece of art will look beautiful on your surfaces, and protect them from the heat of your most delicious creations. ​ The flowing curves of the Wild Heart trivet make it a lovely addition to any surface. It's slightly wider than our original Heart Trivet, offering support for even larger dishes! ​ A new take on an old favorite, designed and crafted with the same love and care. We always support and encourage others to support their local communities, and we're proud to introduce the newest addition to our trivet collection: The Connecticut Trivet! 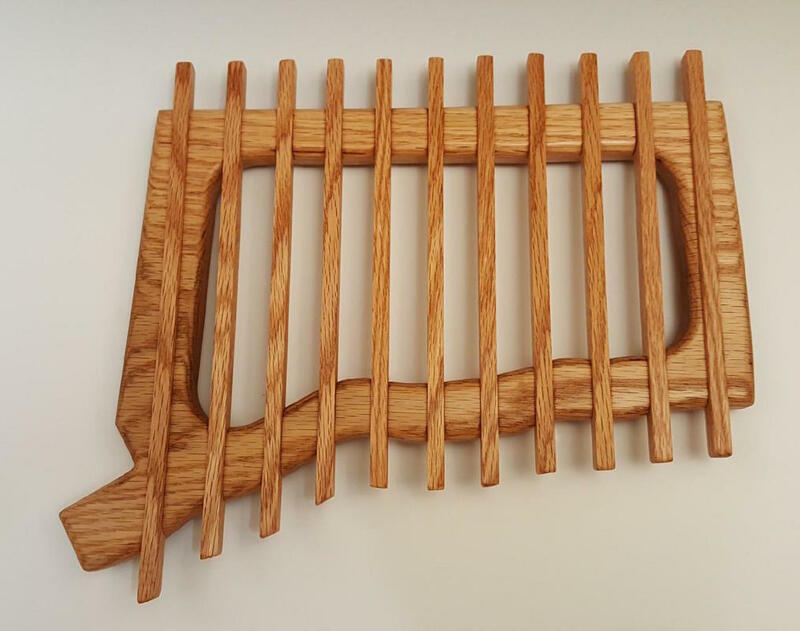 Crafted in the shape of this beautiful New England State, this trivet comes exclusively in locally sourced CT Oak! ​Our beautifully designed rectangular trivets make perfect gifts for chefs and foodies alike. ​Sturdy and made to last, whoever you choose to receive this piece of art --maybe yourself! -- they'll be thinking grateful thoughts about you every time they use it. For all you ocean-lovers out there, two new Trivet designs! 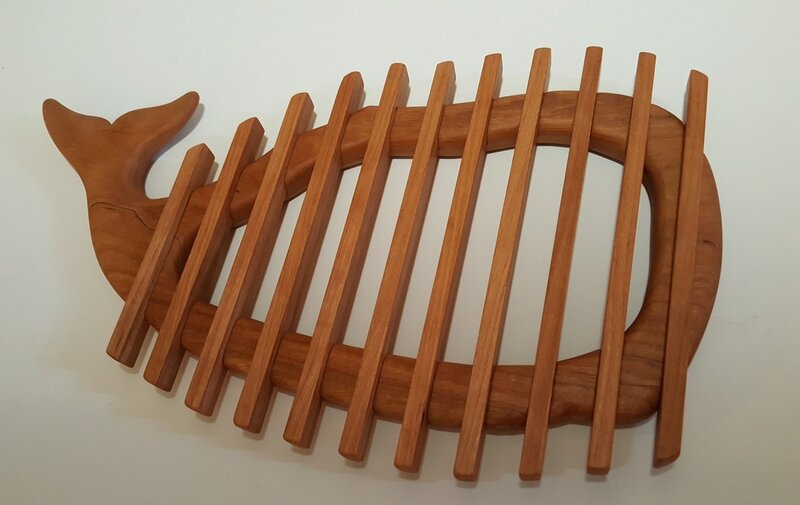 The same carving that makes our Whale & Turtle Boards so special works perfectly with the slats, and when ordering you can choose the wood type for each. 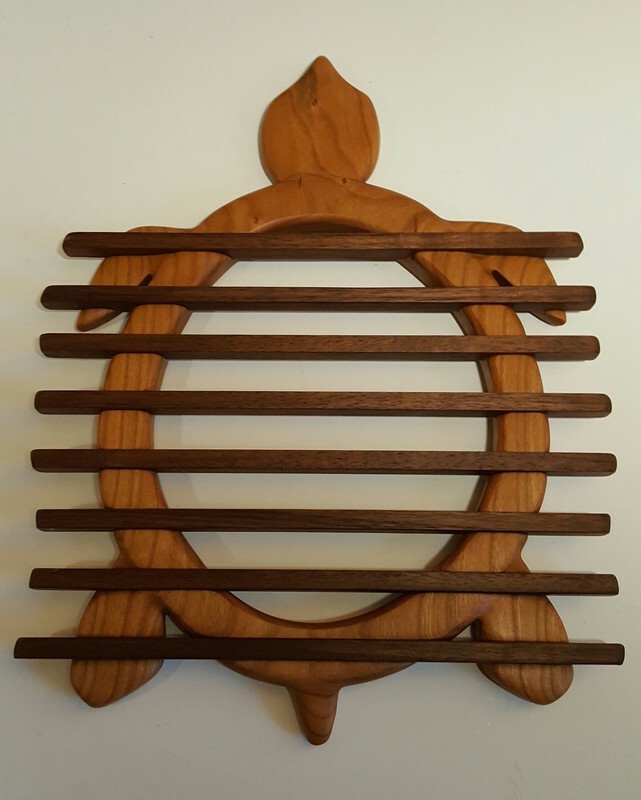 Our classic Sea Turtle design is getting new life in the form of this beautiful trivet. Keep your surfaces guarded from heat and moisture with this lovely ocean creature -- she also makes a beautiful counter piece even when not holding a pot or pan for you! Just like our new sea turtle trivet, this whale trivet was inspired by our whale serving board! The elongated design is great for full-sized baking sheets, and is a beautiful addition to any surface in your kitchen. When ordering, make sure to choose both the Base and Slat wood types. Pictured left is our whale trivet in Cherry.